This page covers the author of The Physick Book of Deliverance Dane. For other authors named Katherine Howe, see the disambiguation page. Katherine Howe is the New York Times bestselling author of The Physick Book of Deliverance Dane. Her new novel Conversion is a chilling mystery—Prep meets The Crucible. It’s senior year at St. Joan’s Academy, and school is a pressure cooker. First it’s the school’s queen bee, Clara Rutherford, who suddenly falls into uncontrollable tics in the middle of class. Her mystery illness quickly spreads to her closest clique of friends, then more students and symptoms follow: seizures, hair loss, violent coughing fits. St. Joan’s buzzes with rumor; rumor blossoms into full-blown panic. Inspired by true events—from seventeenth-century colonial life to the halls of a modern-day high school—Conversion casts a spell. With her signature wit and passion, New York Times bestselling author Katherine Howe delivers an exciting and suspenseful novel, a chilling mystery that raises the question, what’s really happening to the girls at St. Joan’s? Author photo ©Laura Dandaneau In Like No Other by UNA LAMARCHE (aka Twitter's @sassycurmudgeon), Devorah is a consummate good girl who has never challenged the ways of her strict Hasidic upbringing. Jaxon is a fun-loving, book-smart nerd who has never been comfortable around girls (unless you count his four younger sisters). They've spent their entire lives in Brooklyn, on opposite sides of the same street. Their paths never crossed . . . until one day, they did. When a hurricane strikes the Northeast, the pair becomes stranded in an elevator together, where fate leaves them no choice but to make an otherwise risky connection. PHOEBE NORTH writes about intergalactic spaceship rebellions, hot alien kissing, robot consciousness, angry girls, complicated boys, secrets, parents, angst, and psychic powers. In Starbreak, the much anticipated sequel to Starglass, alien foes, forbidden romance, and uneasy alliances await.The Asherah has finally reached Zehava, the long-promised planet. There, Terra finds harsh conditions and a familiar foe—Aleksandra Wolff, leader of her ship’s rebel forces. As Terra and Aleksandra lock horns about how best to reach the alien city, they encounter violent beasts—and dangerous hunters. It’s only when they’re taken to the city as prisoners that Terra finally discovers Vadix, the boy who has haunted her dreams. STEPHANIE KUEHN is the author of Charm & Strange. In her new novel Complicit fifteen-year-old Jamie Henry breathed a sigh of relief when a judge sentenced his older sister to juvenile detention for burning down their neighbor’s fancy horse barn two years ago. The whole town did. Because Crazy Cate Henry used to be a nice girl. Until she did a lot of bad things. Like drinking. And stealing. And lying. Like playing weird mind games in the woods with other children. Like making sure she always got her way. Or else. But today Cate got out. And now she’s coming back for Jamie. July 11th: Katherine Howe presents her new novel "Conversion"
Katherine Howe will talk about her latest novel, Conversion, Friday July 11th at 7pm at the Jabberwocky Bookshop, at the Tannery, 50 Water St. Newburyport. Katherine Howe returns to the Jabberwocky, where her previous engagements have been both fascinating and delightful. She is the New York Times best-selling author of The Physick Book of Deliverance Dane and The House of Velvet and Glass, which have been translated into 25 languages. Currently teaching at Cornell, she is an expert on the period of the Salem witch trials, and hosted the National Geographic Channel's show, "Salem: Unmasking the Devil". Though written as a young adult novel, Conversion, will appeal to readers of all ages. At a private school in Salem, Ma., the pressure cooker of Senior year seems to have exploded in a rash of inexplicable events -- seizures, coughing fits, hair loss -- where rumor and innuendo soon bring national media coverage. With her signature wit and passion, Howe delivers an exciting and suspenseful novel, a chilling mystery that weaves back and forth between seventeenth-century colonial life and today's modern high school. "....thrilling....A chilling guessing game of a novel that will leave readers thinking about the power (and powerlessness) of young women in the past and present alike." --Publishers Weekly "Smart, compelling, exciting, and completely absorbing. Katherine Howe is stunningly deft at blurring the lines between the emotional and the supernatural. I recommend clearing your calendar before you start reading this novel." -- David Liss, bestselling author of The Twelfth Enchantment This event is free. Katherine Howe was born in Houston, Texas, and holds degrees in art history and philosophy from Columbia and in American and New England Studies from Boston University. She is the author of The physick book of deliverance dane, which debuted at #2 on the New York Times bestseller list, and which has been translated into more than twenty languages. Her next novel, a historical fiction thriller set in 1915 Boston, was released in 2012. 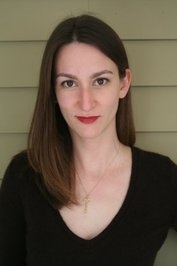 Katherine Howe will receive her PhD in American and New England Studies from Boston University in 2012. Her debut novel, THE PHYSICK BOOK OF DELIVERANCE DANE, was a New York Times bestseller. She has appeared on Good Morning America and was featured in a National Geographic television special on the Salem witch trials. She lives in Ithaca, New York with her husband, where she is a visiting lecturer in American Studies at Cornell University. Beginning onboard the fateful voyage of the famous ocean liner (this April 15th marks the 100th anniversary of its sinking), The House of Velvet and Glass is the entrancing story of the Allston family—weaving together past, present, and beyond the grave—that takes place on that infamous ship, in colonial Shanghai, and in Boston in the years following the Titanic’s sinking, at the turn of a remarkable American century that saw it rise as a world power. Still reeling from the deaths of her mother and younger sister on the Titanic a few years prior, Sibyl Allston turns to the occult, seeking to communicate with her lost relatives through a local medium. Her days of quiet grief and spinsterhood (she is, after all, 27 years old) are disrupted by the unexpected return to Boston of her brother under suspicious circumstances, as well as the reappearance of Benton Derby, the man who Sibyl once loved—and might still. Soon, Sibyl and Benton are drawn into a hunt to solve a mystery and uncover a shocking truth about her family and her father’s past—a truth with a horrifying connection to the sinking of the Titanic. From the 1915 opium dens of Boston’s Chinatown to the salons of high society, from the back alleys of nineteenth-century Shanghai, to the opulent libraries of Harvard, The House of Velvet and Glass weaves together vivid historical detail and a compelling romance, culminating in a surprising twist that will thrill readers who loved and supported THE PHYSICK BOOK OF DELIVERANCE DANE and made it a bestseller. What: Katherine Howe will discuss and sign The House of Velvet and Glass, her newest novel. When: Wednesday, August 22, 7:00 p.m. Admission: In order to go through the signing line and meet Katherine Howe for book personalization, please purchase The House of Velvet and Glass from Blue Willow Bookshop. A limited number of autographed copies of Katherine’s books will be available for purchase after the event. If you cannot attend the event, but would like a personalized copy of the book, please call us before the event at (281) 497-8675. Katherine Howe, author of the Jabberwocky favorite The Physick Book of Deliverance Dane, returns with a stunning new novel, The House of Velvet and Glass. Katherine Howe is completing a Ph.D. in American and New England Studies from Boston University. The idea for this novel developed while she was studying for her Ph.D. exams, walking her dog through the woods between Marblehead and Salem. She lives in Marblehead, Massachusetts, with her husband. Katherine Howe, author of the phenomenal bestseller The Physick Book of Deliverance Dane, returns with an entrancing historical novel set in Boston in 1915, where a young woman stands on the cusp of a new century, torn between loss and love, driven to seek answers in the depths of a crystal ball. Still reeling from the deaths of her mother and sister on the Titanic, Sibyl Allston is living a life of quiet desperation with her taciturn father and scandal-plagued brother in an elegant town house in Boston’s Back Bay. Trapped in a world over which she has no control, Sibyl flees for solace to the parlor of a table-turning medium. But when her brother is suddenly kicked out of Harvard under mysterious circumstances and falls under the sway of a strange young woman, Sibyl turns for help to psychology professor Benton Derby, despite the unspoken tensions of their shared past. As Benton and Sibyl work together to solve a harrowing mystery, their long-simmering spark flares to life, and they realize that there may be something even more magical between them than a medium’s scrying glass. From the opium dens of Boston’s Chinatown to the opulent salons of high society, from the back alleys of colonial Shanghai to the decks of the Titanic, The House of Velvet and Glass weaves together meticulous period detail, intoxicating romance, and a final shocking twist that will leave readers breathless. We are thrilled to have Katherine back in Marblehead and grateful to Hyperion for all their efforts! Books will be available for sale at the event, courtesy of the Spirit of ’76. Katherine Howe, The Physick Book of Deliverance Dane. Katherine Howe's book The Daughters of Temperance Hobbs is currently available from LibraryThing Early Reviewers. "Katherine Howe" is composed of 4 distinct authors, divided by their works. You can edit the division. Katherine Howe is composed of 2 names. You can examine and separate out names.